All-out Industry 4.0 with the first KUKA robot to be equipped with the unique collaboration technology of APAS assistant. Complete with capacitive sensor skin and an intelligent safety concept, the KUKA-based APAS assistant directly supports you in a variety of tasks. Furthermore the APAS assistant can also take over monotonous activities independently with high precision and cost-efficiency. Take advantage from innovative, contact-free collaboration between human and robot in the Factory of the Future - without safety cages or fences. 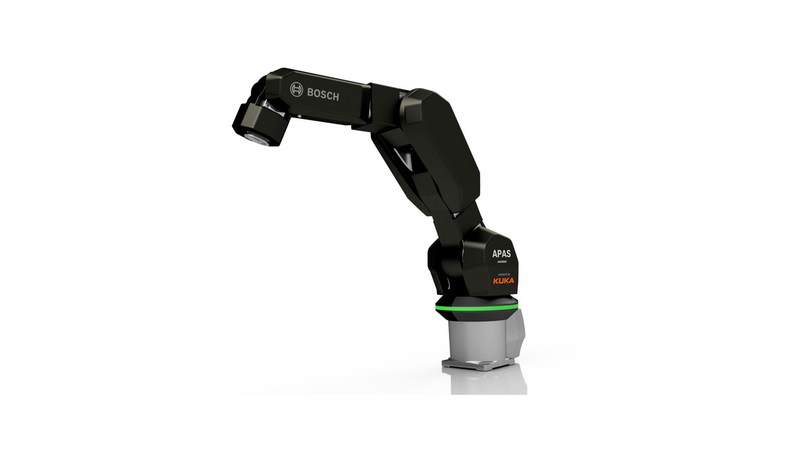 Easy integration into your system, the widely-used PLC interface mxAutomation and the familiar KUKA programming environment provide a quick and effective introduction into human-robot-collaboration - so what are you waiting for?